What Are the Best Anti-Aging Cleansers? 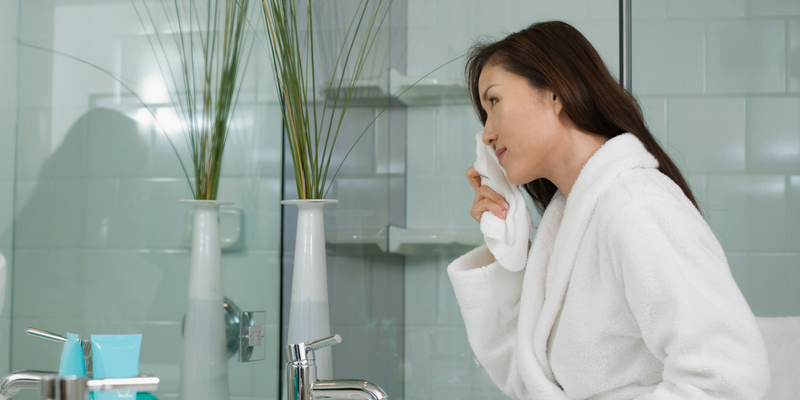 When developing a skin care routine for aging skin, it is important to consider what type of cleanser you are using. The right cleansing product will “set the stage” for the other anti-aging medications and ingredients in your regimen. Of course, your Baumann Skin Type® will also dictate which anti-aging products are best for your skin. Generally speaking, hydroxy acid cleansers are very effective for most dry, aging skin types. Sensitive skin (rosacea, stinging and allergic types) may not be able to use alpha hydroxyacids. Here, you’ll find an overview of what alpha hydroxy acids are and how they can help to combat signs of skin aging. Are Cleansers On The Skin Long Enough To Do Anything? Helps increase the efficacy of ingredients that penetrate better in an acidic environment such as ascorbic acid. Alpha hydroxy acids (AHAs) are a family of naturally-occurring acids that includes glycolic acid, lactic acid, malic acid, citric acid, and others. AHAs are known for their water solubility and hydrophilic properties. This means that these ingredients are humectants that means that they are very good at holding onto large amounts of water, making them excellent choices for dry skin types. On the other hand, salicylic acid, which is an example of a beta hydroxy acid, is lipophilic, meaning that it is soluble in oil rather than water. This property can have cleansing benefits for oily, acne-prone skin types, but salicylic acid can be too drying for dry skin types, making AHAs a better choice for dry skin. Why Are Alpha Hydroxy Acid Cleansers Good for Aging Skin? In addition to binding to water, AHAs have the ability to loosen the “glue” that holds skin cells together, thus accelerating the process of desquamation (exfoliation). This is an important property when looking for an anti-aging cleanser for three main reasons. First, when cleansing your skin, you want to remove dead skin cells from the surface of your skin. This allows your skin to reflect light and look more radiant. Exfoliating your skin using AHAs makes the skin’s surface smooth and light reflecting. Secondly, when you remove old cells, your skin begins to produce more collagen in order to create new replacement cells. In this way, AHA cleansers can help you to achieve a smoother, younger-looking complexion by contributing to the natural desquamation process. Finally, removing the built-up skin cells and other debris from the surface of your skin can help the other products that you use after cleansing penetrate your skin more readily, thus making them more effective. What Are the Best AHA Cleansers? There are a variety of different alpha hydroxy acid cleaners available, including Essopi Glycolic 10% Moisturizing Cleanser and Glycolix Elite 10% Moisturizing Cleanser, which can be great for dry skin types. (NoLIO Gly/Sal Pore Minimizing Cleanser is a great salicylic acid cleanser for aging, oily skin types. If you’re not sure whether your skin is oily or dry, it is best to check with a doctor that uses the Skin Type Solutions Skin Typing Diagnostic System before choosing a cleanser. Otherwise, you might worsen skin conditions like dryness or acne if you are using the wrong type of cleanser. Although AHAs can be incredibly effective anti-aging and exfoliation ingredients in your cleanser, they do have some downsides. Most notably, AHAs can increase irritation from retinoids. For this reason, it is not recommended that you begin using AHAs and retinoids at the same time. To avoid this problem, start your retinoids first. After 2 to 4 weeks when you can tolerate your retinoid at least every other night, you can add the AHA cleanser to your regimen. When you first start using a retinoid, switch to a cleanser that does not contain AHAs or BHAs (such as salicylic acid). People with dry skin do best with creamy moisturizing cleansers, while oily skin types can tolerate and benefit from foaming cleansers. For many people, reducing signs of skin aging like lines and wrinkles is one of their primary skin care goals. 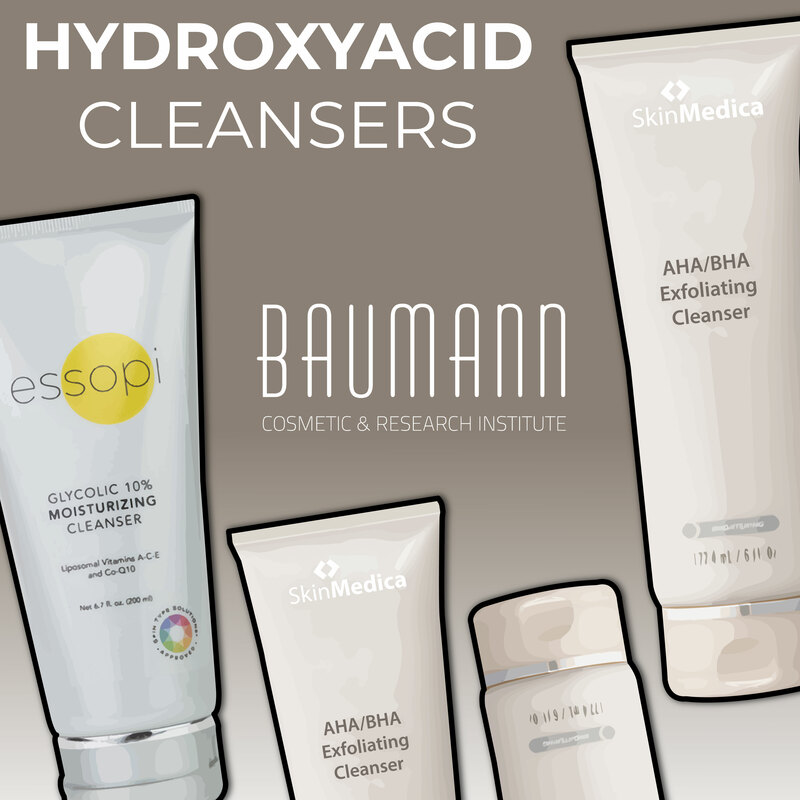 In addition to choosing an appropriate alpha hydroxy cleanser for your skin type, talk with a Skin Type Solutions Approved Doctor about the best anti-aging treatments for your Baumann Skin type. In addition to AHAs, ask about retinoids and sunscreen—yes, sunscreen is one of the most effective anti-aging products you can use! If you would like more information about how to determine your skin type or which cleansers to use for your skin, follow us on Facebook, Instagram, and YouTube.